Easter 2018. In our Gay Bar Adam’s Apple Club you will find the most colorful and largest eggs. 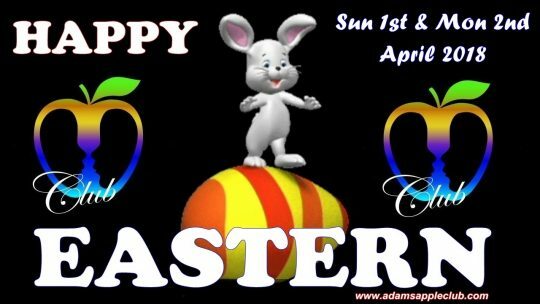 If you like to search eggs with us you are welcome @ Adam’s Apple Club. On Sunday 1st and Monday 2nd April 2018 we celebrate Easter. In our Gay Bar Adam’s Apple Club we have special shows for Easter 2018. 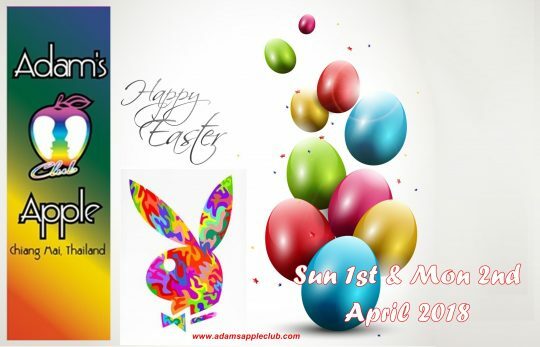 Here @ Adam’s Apple Club in Chiang Mai you will find the most colorful and largest eggs.